Carolyn Gwynn personifies business acumen and excellence in the Diablo Valley where she is ranked in the top 1% in sales. Carolyn is a businesswoman whose depth of knowledge of the communities she serves, and large personal and professional networks give her clients a distinct advantage when buying or selling residential property. To read reviews from her many local clients, please go to www.carolyngwynn.com. A fundamental part of Carolyn’s life has been giving back to the community. 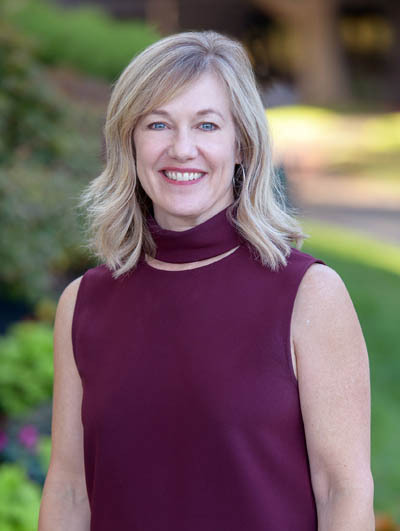 She works with Grateful Gatherings, assisting in furnishing homes for families in transition, she leads the Sister School program at San Ramon Valley High School and assists Pledge to Humanity with monthly volunteers at Loaves and Fishes. Additionally she is a member of the San Ramon Valley Fire Protection District’s Community Emergency Response Team (CERT) program. She has served at Rancho Romero and Stone Valley Schools, Round Hill Country Club, and Del Amigo Pool. Carolyn grew up in Walnut Creek, attended Carondelet High School, and then earned a BS in Finance at California State University, Chico. (It remains her firm belief that Chico is no more a party school than any other University). Carolyn resides in Alamo and her three girls are all just about launched: the eldest recently graduated from UC Berkeley and the other two are happily attending San Diego State.